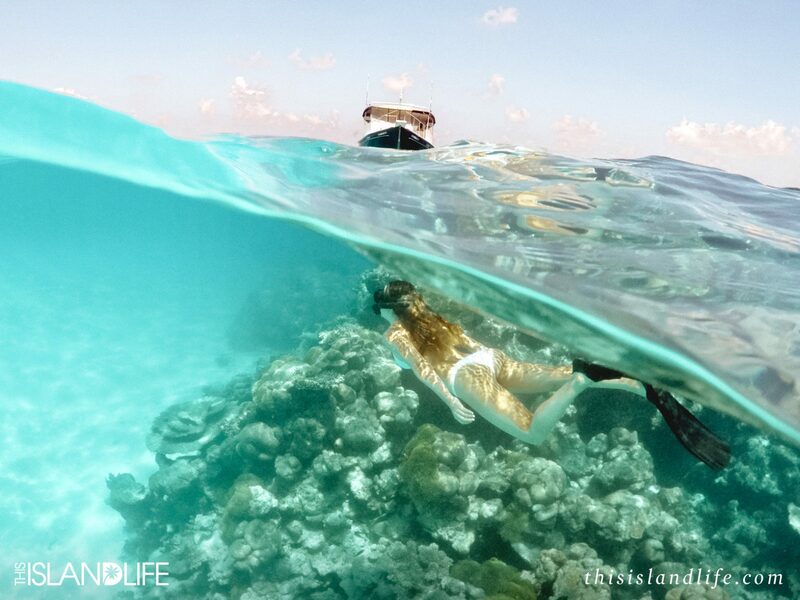 The Maldives archipelago is made up of 1,192 coral islands scattered across the Indian Ocean. 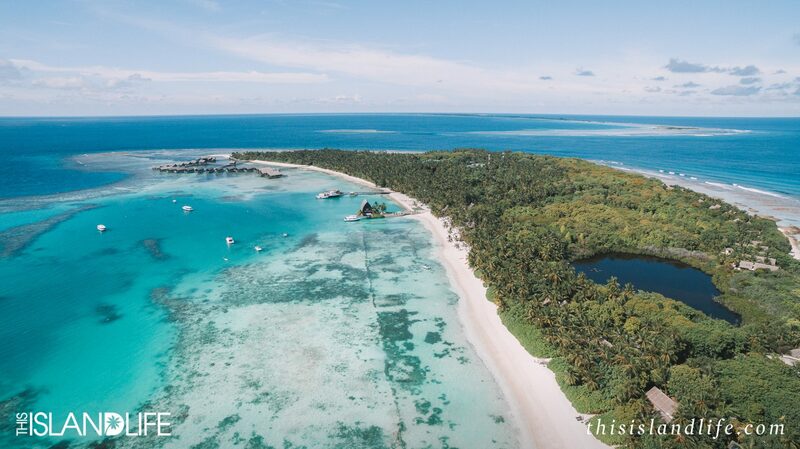 Amongst these idyllic islands on the southern-lost tip of Addu Atoll lies the Shangri-La’s Villingili– a private island resort in a world of its own. 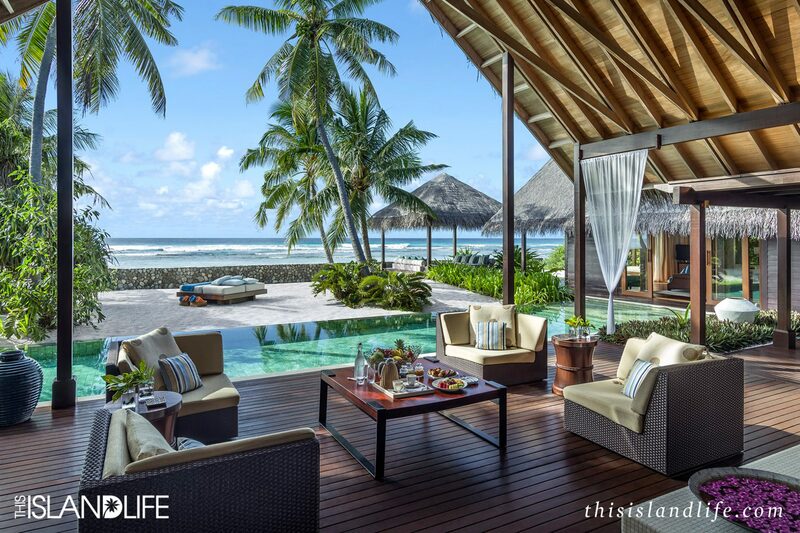 The only Maldivian resort located south of the equator, Villingili is as exclusive as it gets. 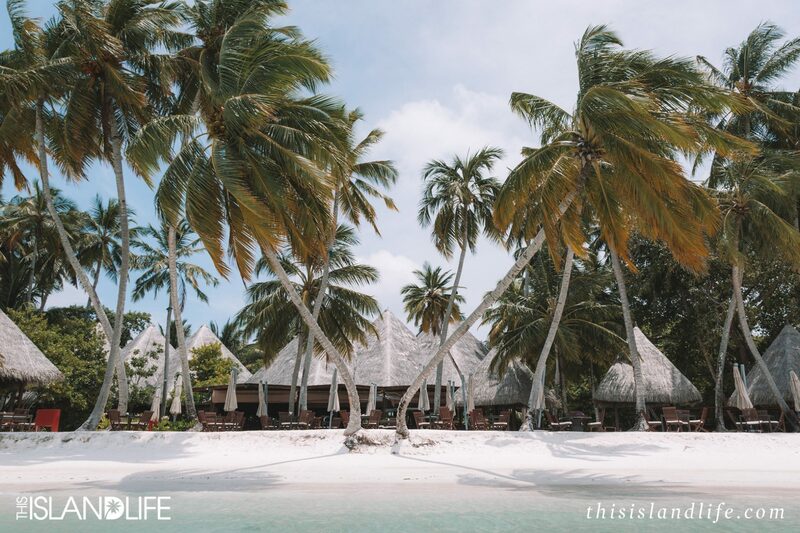 Its remote location allows guests to experience mother nature at her best with lush tropical jungle, white sand beaches and clear turquoise waters. 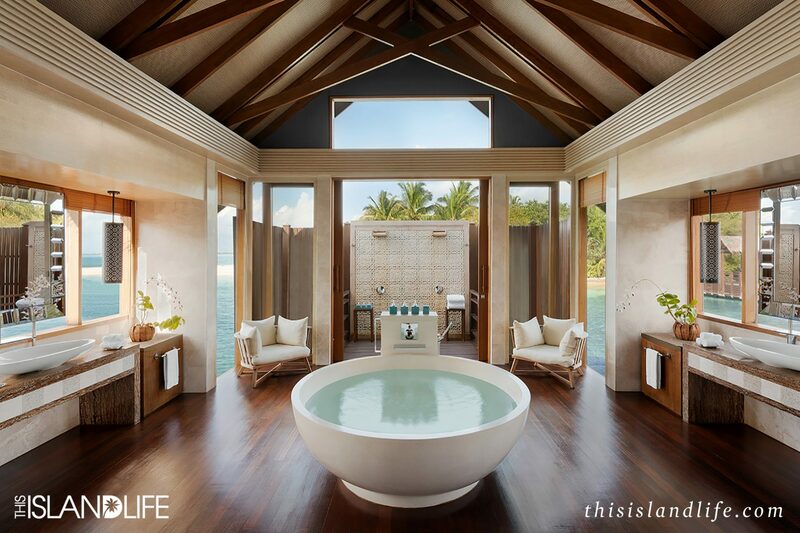 Sponsored by Shangri-La’s Villingili Resort & Spa. It was almost 1am when we boarded the tiny, but luxurious speedboat. 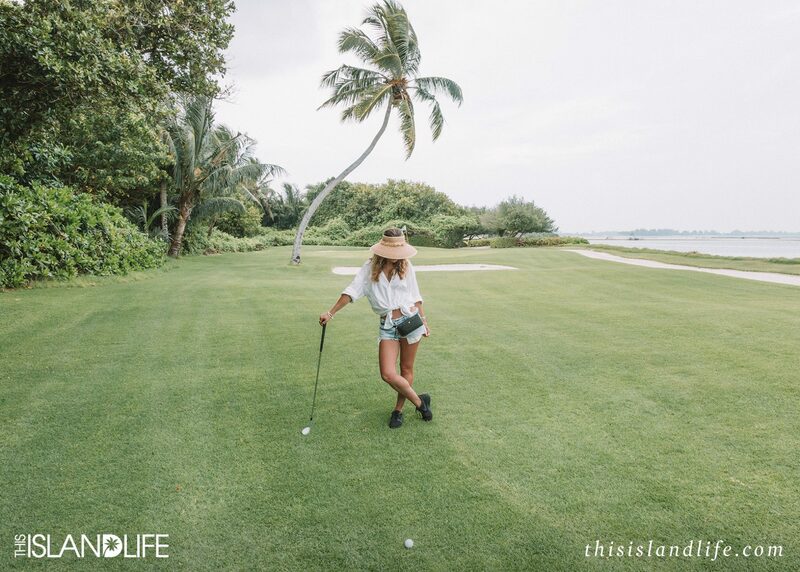 We were making a quick five-minute dash across the Indian Ocean from Gan International Airport to our luxurious five-star island resort. I was exhausted, but nervous with excitement as I tried to make out the island from the tiny dotted lights in the distance. One of the staff must have noticed I was squinting into the darkness. “You should have flown in during the day – it’s very beautiful arriving by boat.” I don’t doubt that it is, but during daylight hours, we were wrapping up the Sri Lankan leg of our trip. And little did he know that I secretly love arriving at a place at night when it’s dark – that way the morning reveal is so much more epic. We pulled into the jetty, which was more like a luxurious open-air pavilion with sheer white curtains blowing in the night air. It was an Instagrammers dream and I hadn’t even set foot off the speedboat. 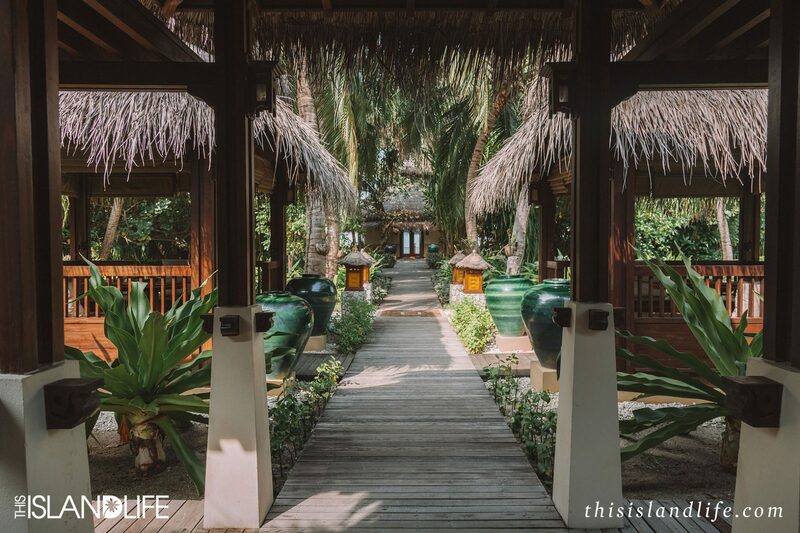 Once we were off the boat, we were greeted by staff in crisp linen uniforms who handed us coconut shells filled with a delicious fresh juice. 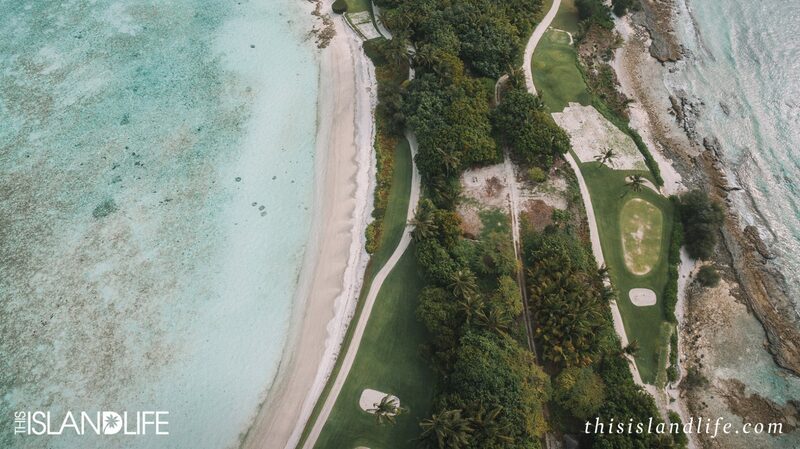 “We’ll take you to your villa now.” Gesturing to a white electric golf buggy. Coconuts in hand, we hopped on the back and were on our way to our overwater bungalow. After a short five-minute drive under a jungle canopy we turned onto a wooden path that lead out over a lagoon and towards our villa. I squeezed Jason’s hand – we were almost there. 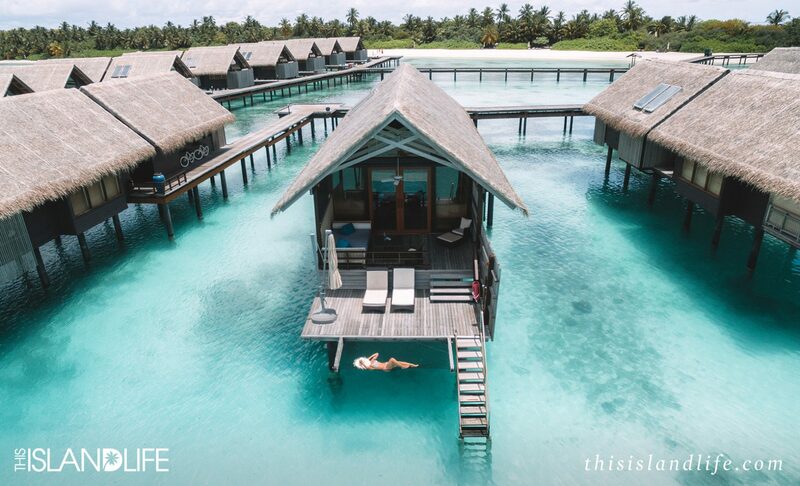 As excited as I was to see our overwater villa, I also wanted to see what was in the mini bar – we hadn’t eaten since Sri Lanka and I was starving. 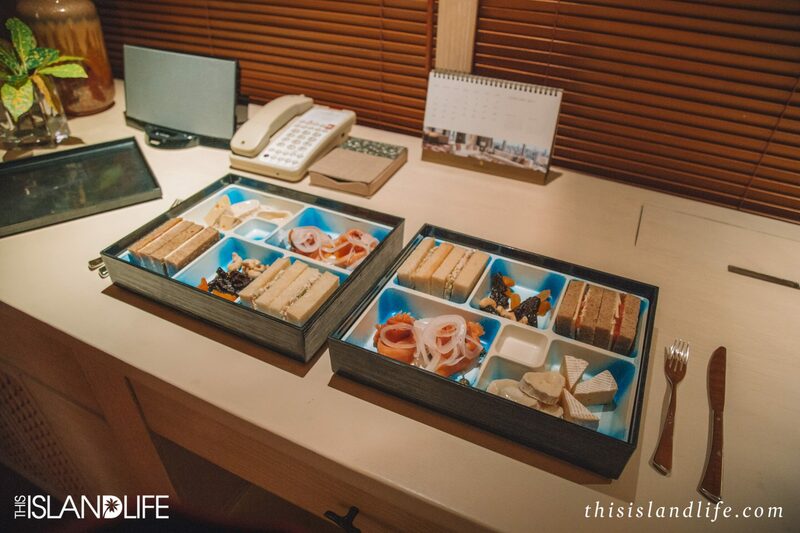 Our buggy driver opened the door to our villa but as he was about to show us around, I caught sight of two perfectly prepared meals laid out on the table for us. 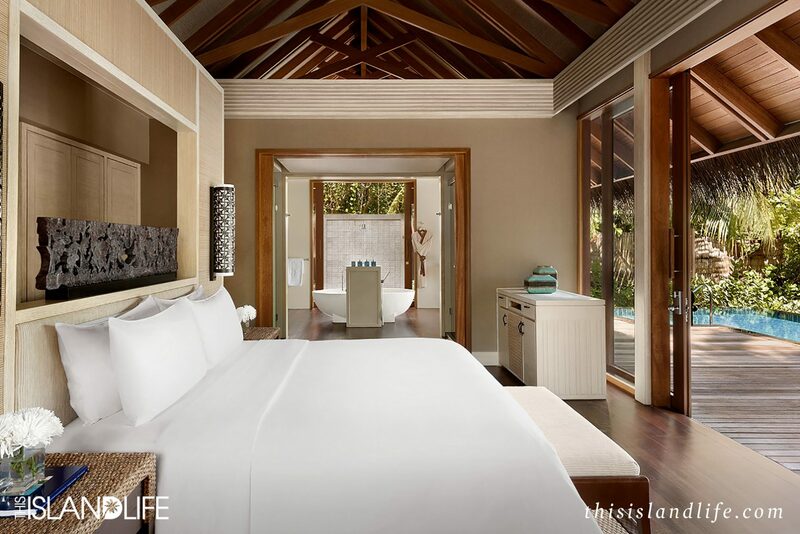 It was our first instance experiencing the Shangri-la touch and it wouldn’t be our last. 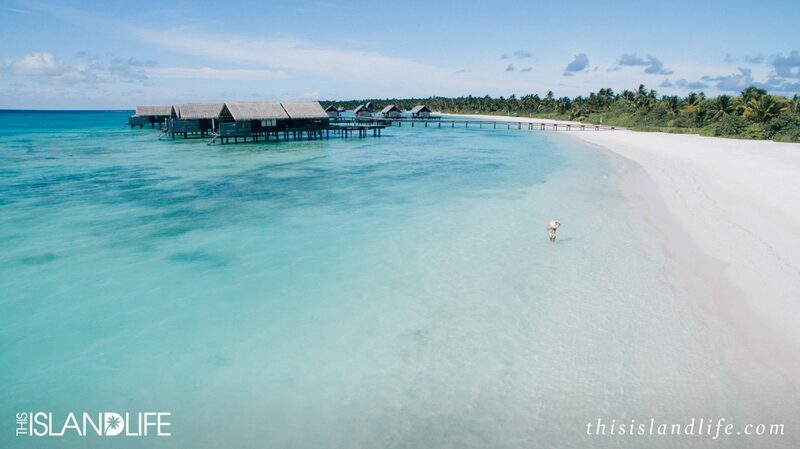 This was my first trip to the Maldives so I only had one requirement – to stay in an overwater bungalow. 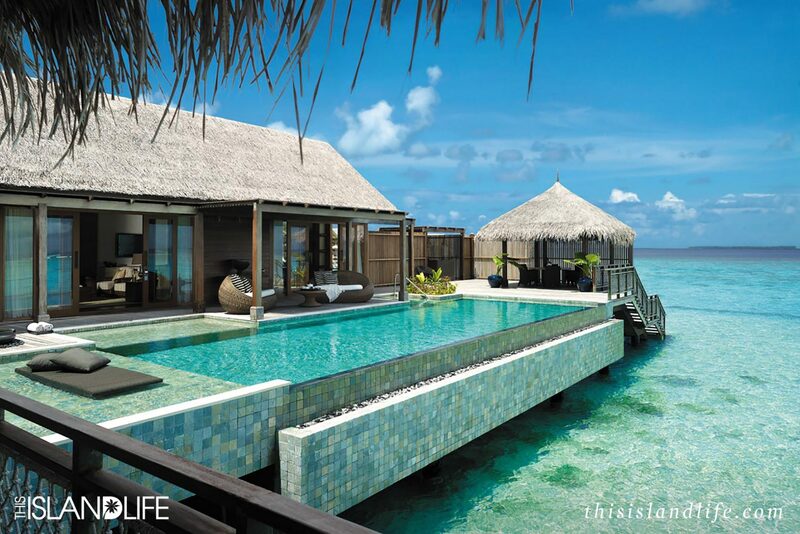 Waking up to the sound of the ocean in an overwater bungalow in the Maldives is the ultimate bucket list experience. 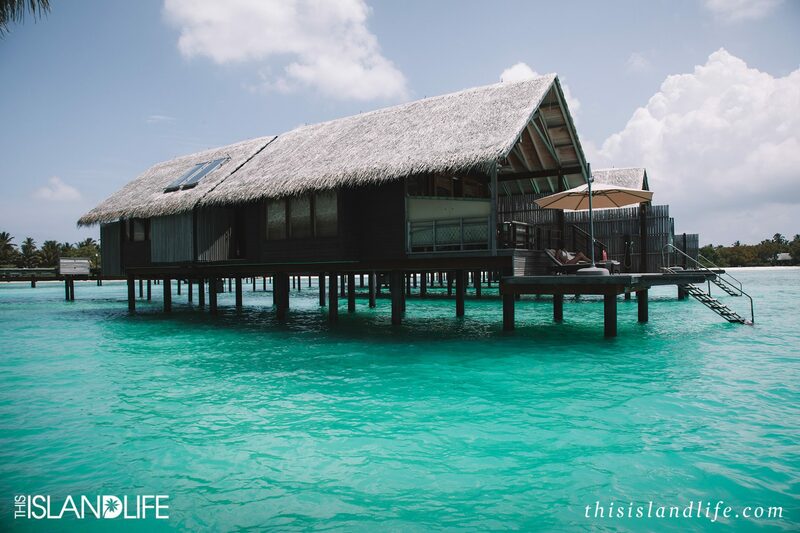 We had planned this trip to celebrate my boyfriend Jason’s birthday and with neither of us having stayed in an overwater bungalow before, it was the perfect experience to share together. “Wake up babe and look at where we are!” I opened my eyes as the warm sunrise light filled the villa. Jason was already out on the deck and even though the sun was so low, I could see that the water was already starting to illuminate into a bright turquoise. 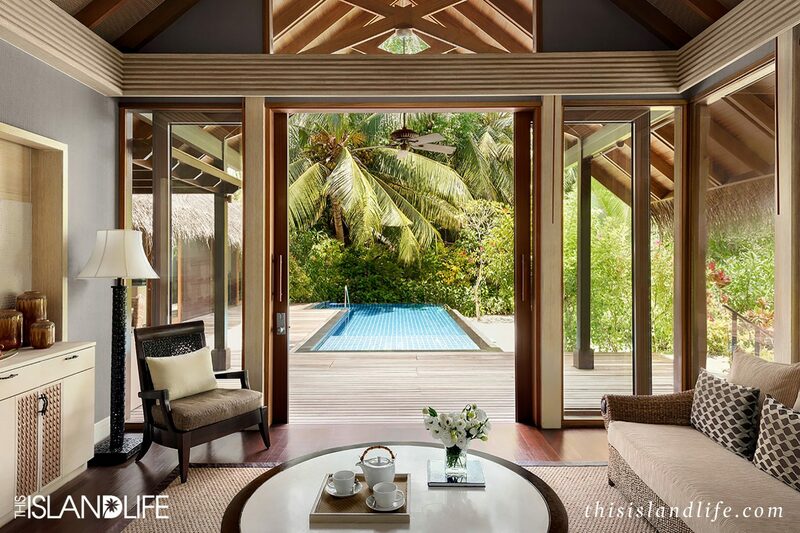 The overwater bungalows at Shangri-La’s Villingili Resort & Spa, are straight out of a tropical daydream. 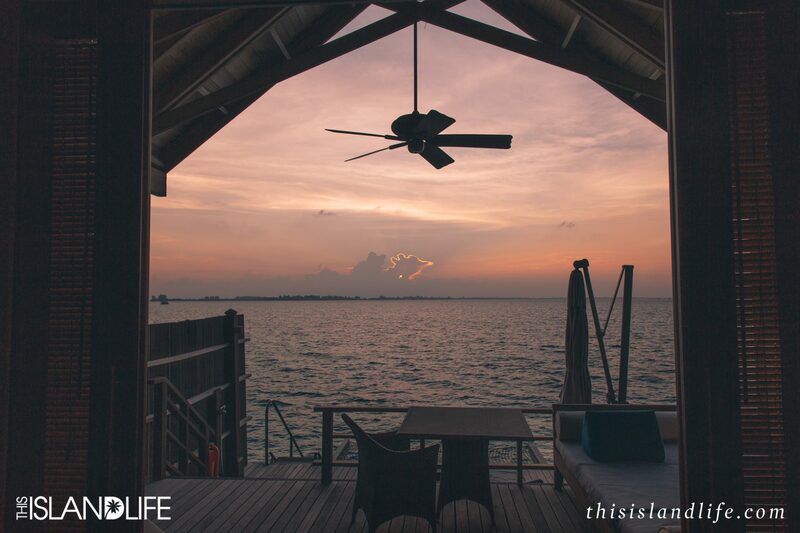 While they are impossibly beautiful and luxurious, they have a rustic castaway vibe – think Robinson Crusoe meets James Bond’s island lair. 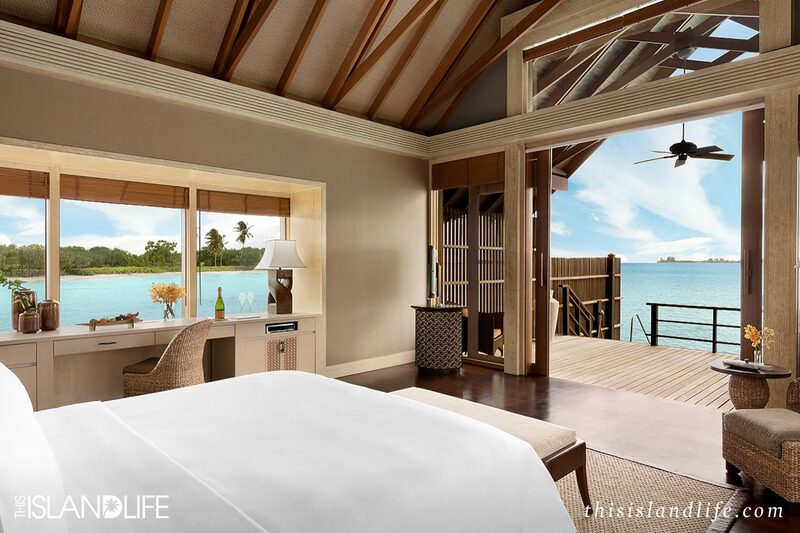 The huge king-sized bed looks straight out over the Indian Ocean, so you can wake up to a direct view of the turquoise-hued lagoon. 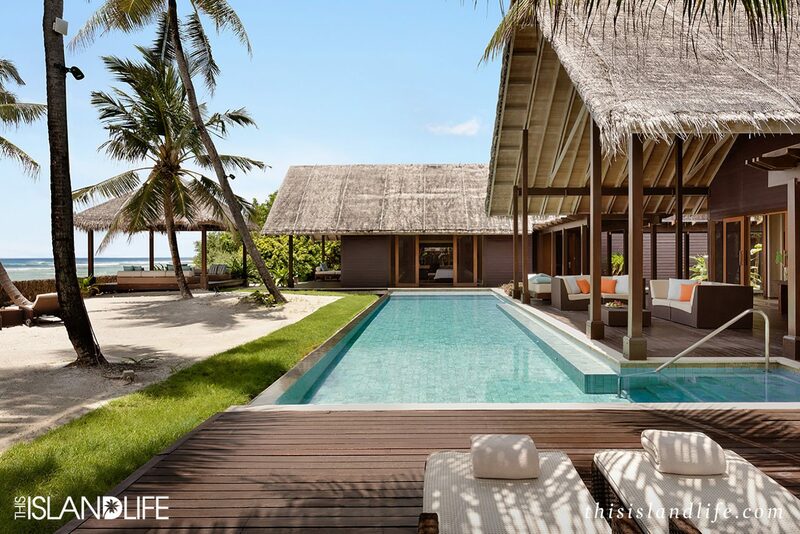 The villas are enormous, even by luxury standards and are some of the biggest in the Maldives. There’s an alfresco shower and huge freestanding bath tub, as well as an indoor shower and the biggest walk-in wardrobe I’ve ever experienced in a hotel room. 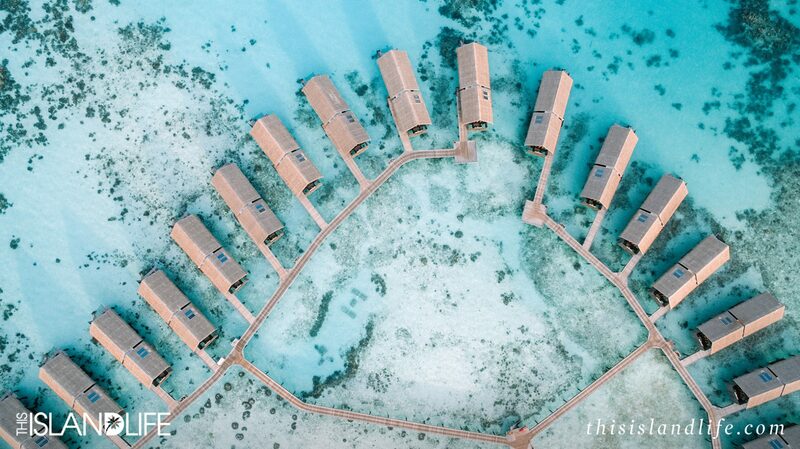 Villingili Island is so big, there are three groups of overwater villas. 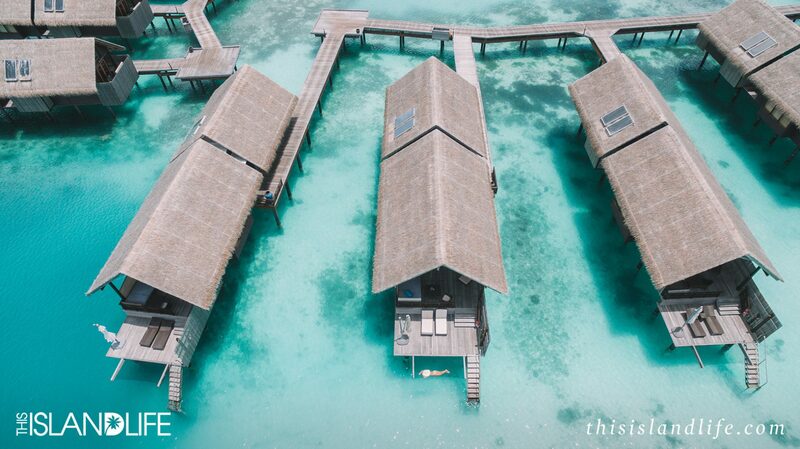 Our villa was in the middle and was surrounded by deep lagoon water perfect for snorkelling (and drone shots), so we could dive straight off our deck into the clear aqua ocean. The Shangri-la told us they chose that villa for us because we were from Australia and they know we like jumping into the ocean. 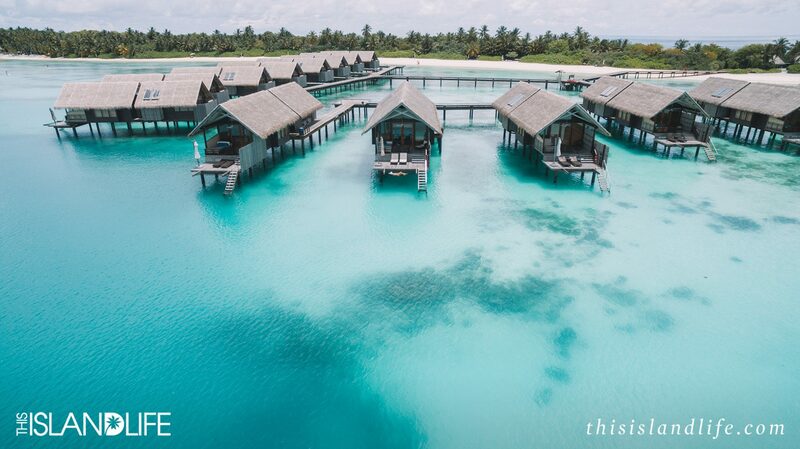 You’ve got to love a resort that can anticipate overwater bungalow needs I didn’t even know I had. 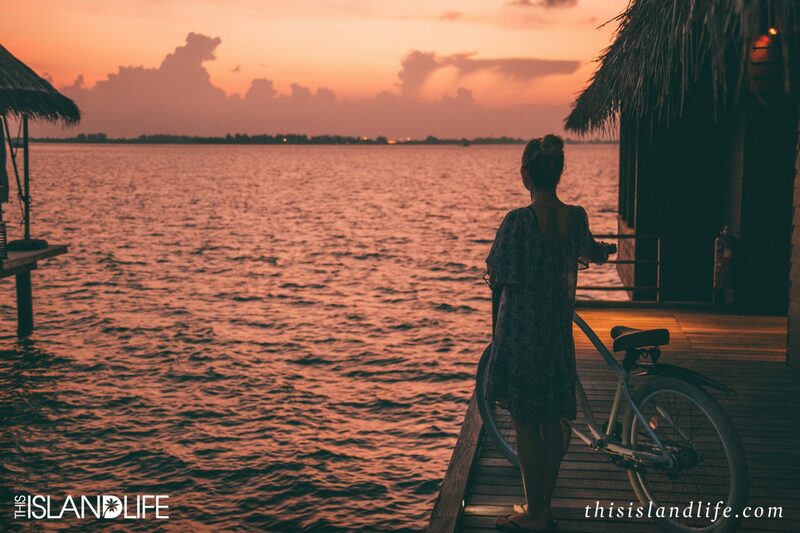 The best part of our overwater bungalow experience, was that every night we had front row seats to some of the best sunsets I’ve ever seen. 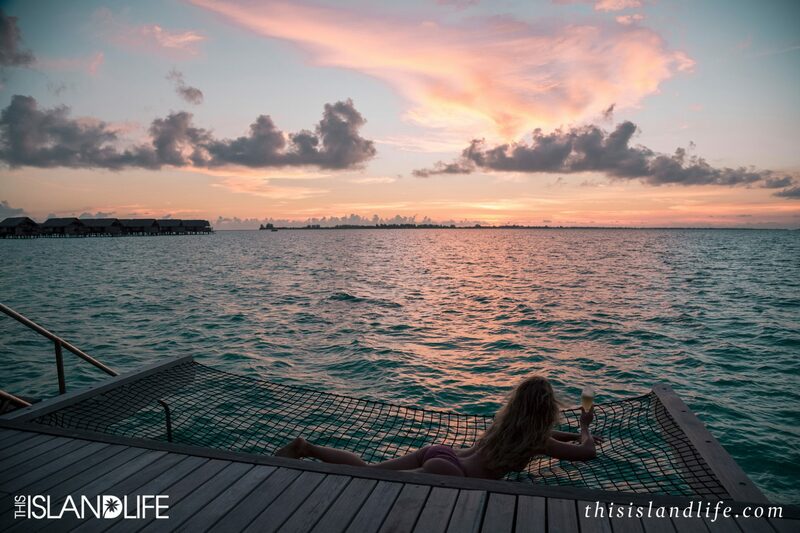 We had the ultimate pinch-me moments on our deck watching the sky light up in the most incredible pink and orange hues, while our butler delivered and served up chilled champagne. 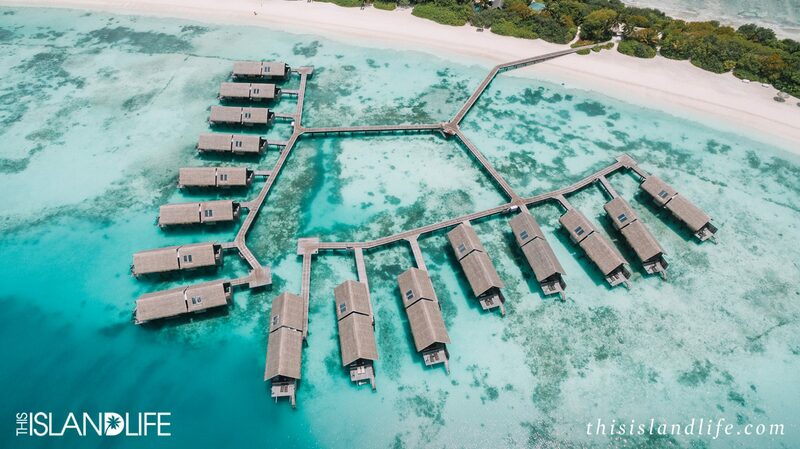 The accommodation on the island is made up of 132 villas that are made up of overwater villas, tropical tree houses, pool villas and beachside residences. 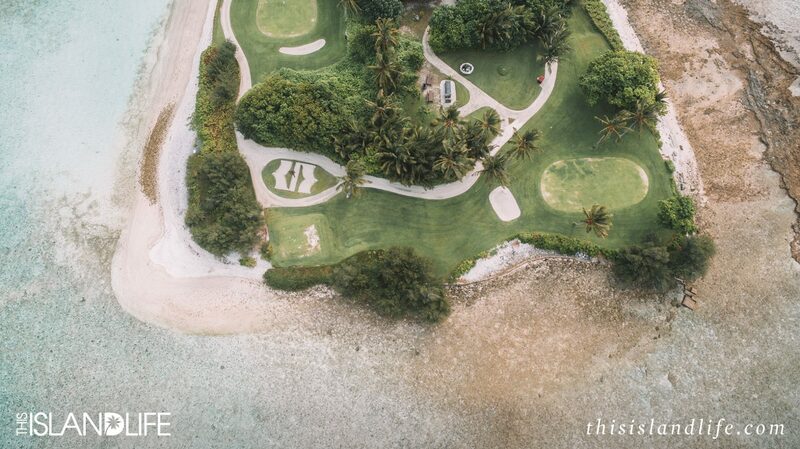 And for the ultimate luxury experience, there are two epic presidential villas – one that’s land-based and one that’s overwater. 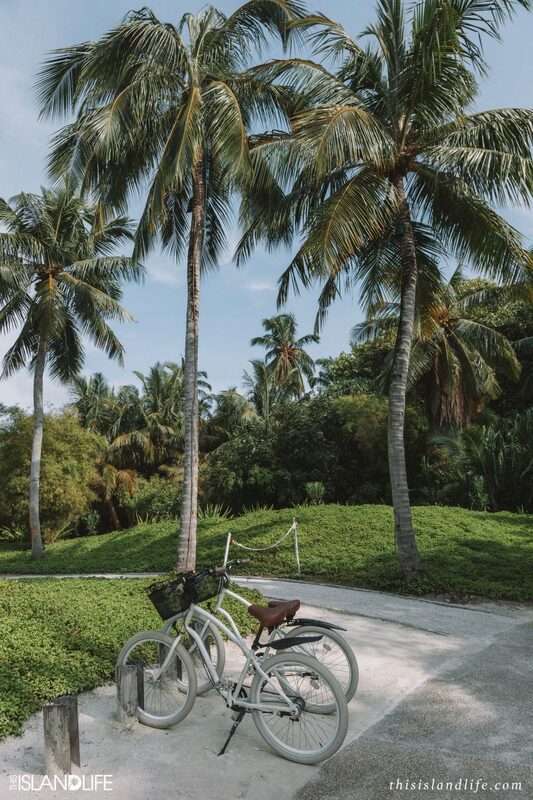 All villas feature a myriad of luxurious amenities and expansive layouts with spacious sundecks, patios, daybeds and lounge areas, and each room comes with bicycles so it’s easy to get around. 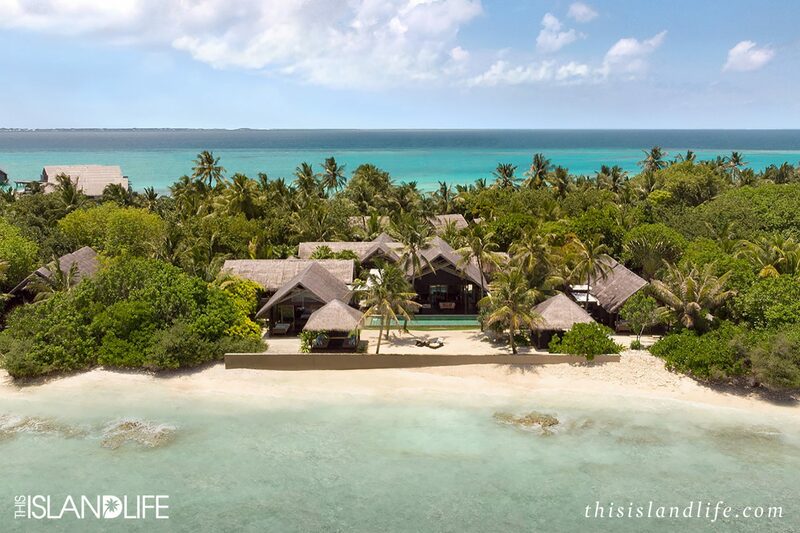 Surrounded by a striking coral reef, with a plethora of snorkelling hotspots, this boutique-style all-villa resort is home to more than 17,000 coconut trees, over six kilometres of picturesque coastline and two kilometres of white sandy beaches. 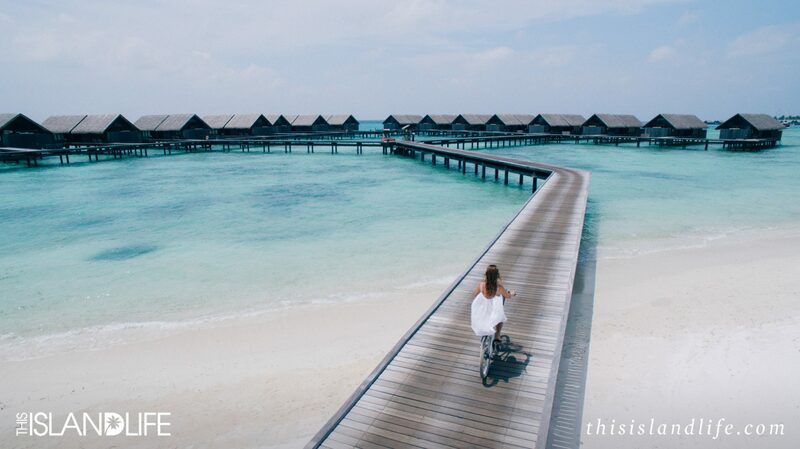 Villingili Island has everything thing you’d expect from a luxurious five-star island resort, but it has one key luxury that sets it apart from the rest – space. 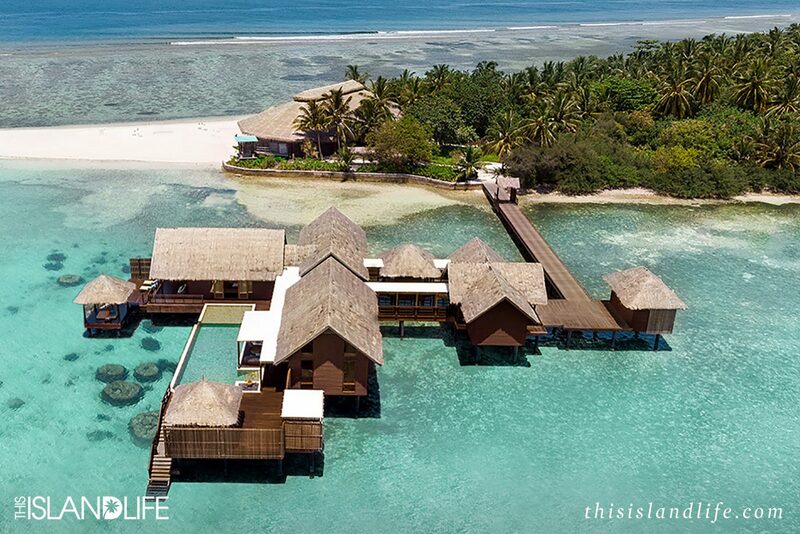 It’s the largest single resort island in the archipelago and even operated in its own time zone so that guests can enjoy an extra hour of sunshine. 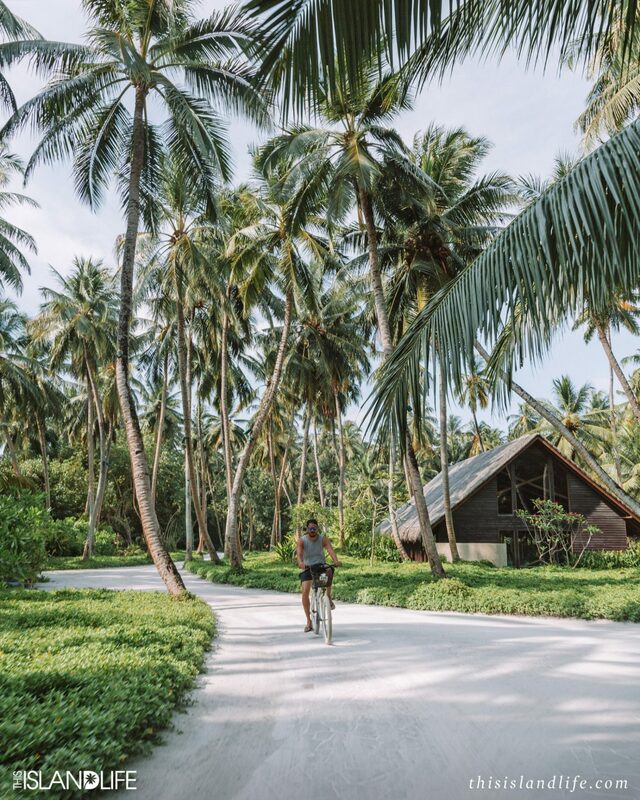 Plus, there are four local islands just a short boat ride away, where you can visit villages and farms with a local guide. 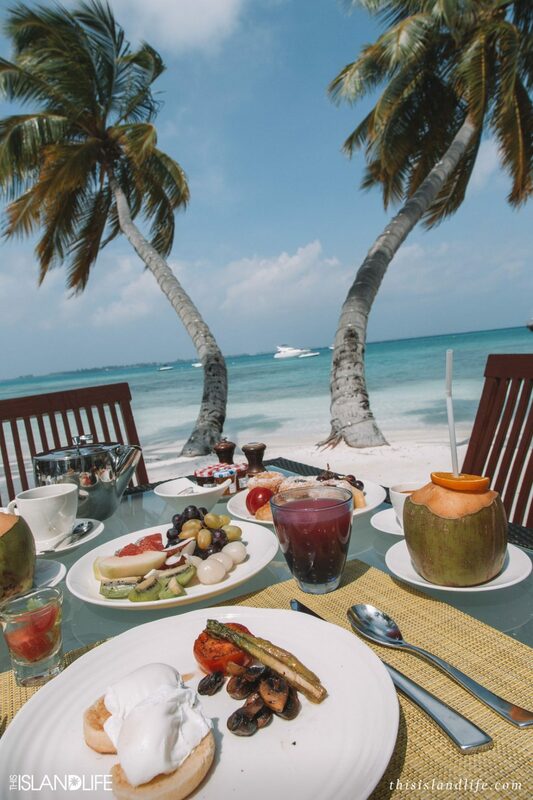 Villingili Island is a paradise for foodies. 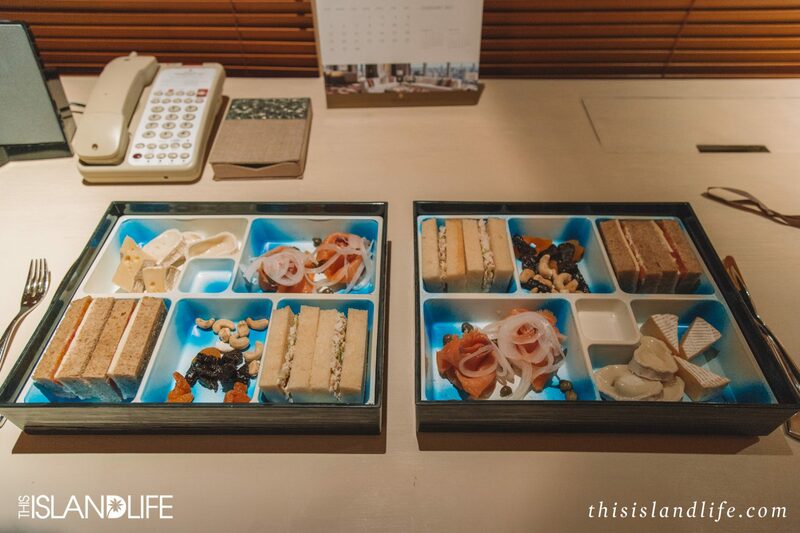 There are three restaurants on offer. Javvu is the main restaurant that’s open all day. 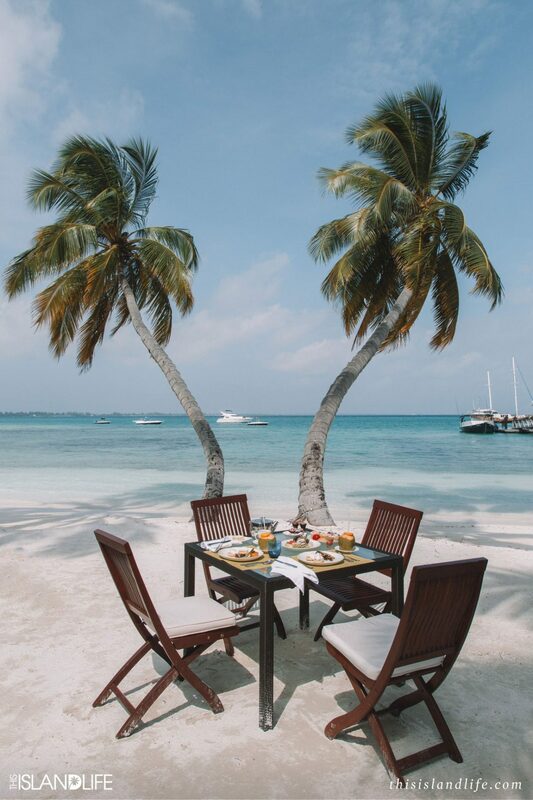 There you can tuck into your buffet breakfast with your feet in the sand. 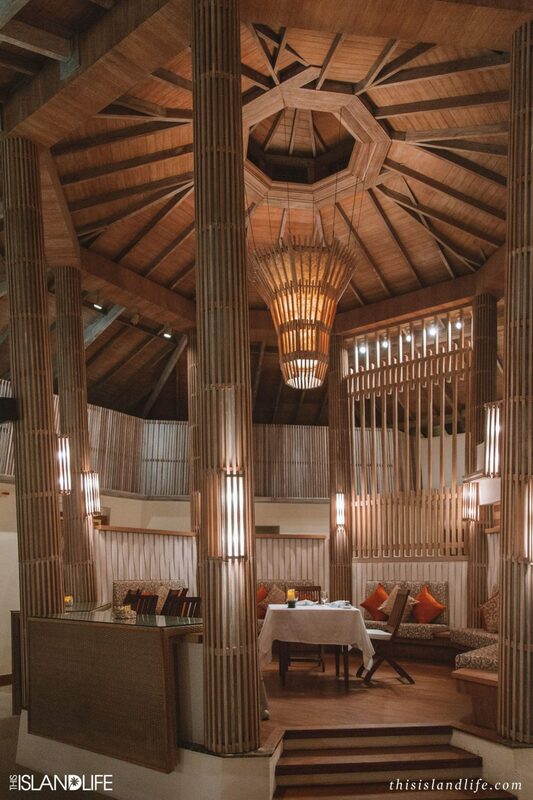 Dr Ali’s features three distinctive dining rooms that represent the different cultures that have influenced the history of the Maldives from the South China Sea, the Indian Ocean and Middle East. Fashala where we dined on our last night is a fine dining restaurant with breathtaking views. 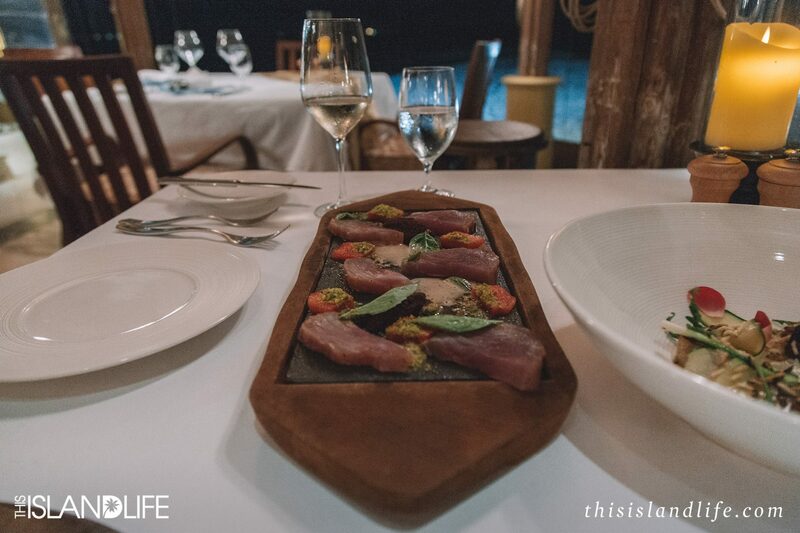 It serves up local produce from the surrounding waters and local farms. 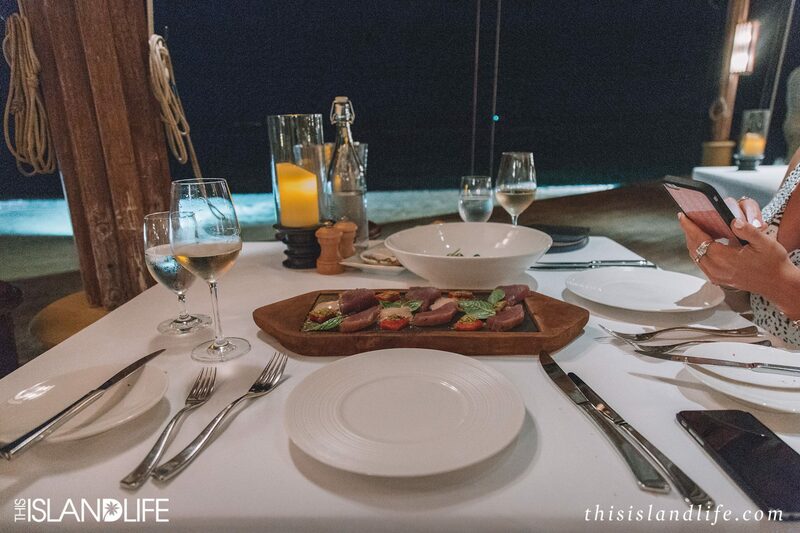 There are also epic custom-made dining experiences like lunch on the equator aboard our luxury yacht or a romantic dinner in the jungle. 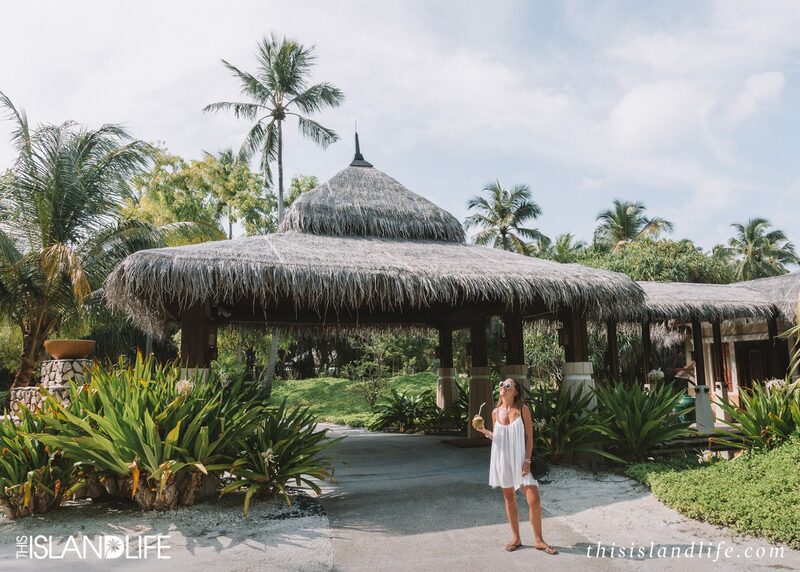 When the spa is located in its own spa village, you know you’re at a resort that takes its spa treatments seriously. 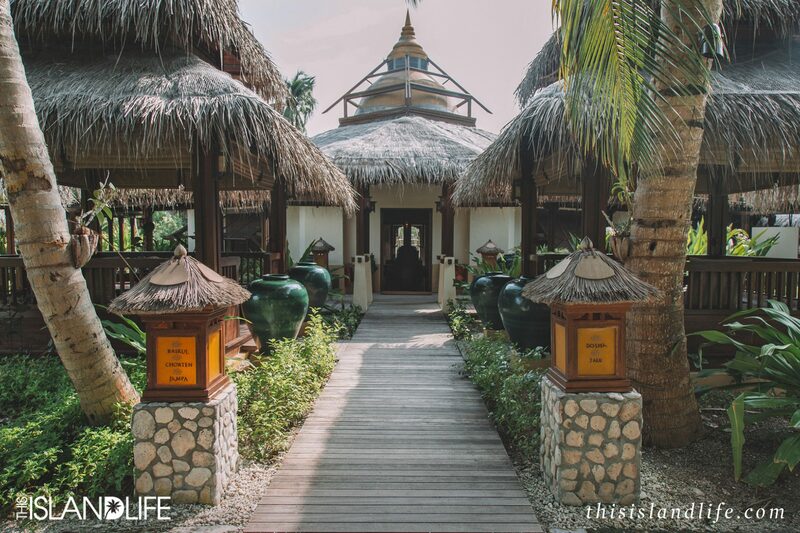 The spa offers a selection of Asian massages and Indian Ayurvedic treatments, and locally inspired treatments. 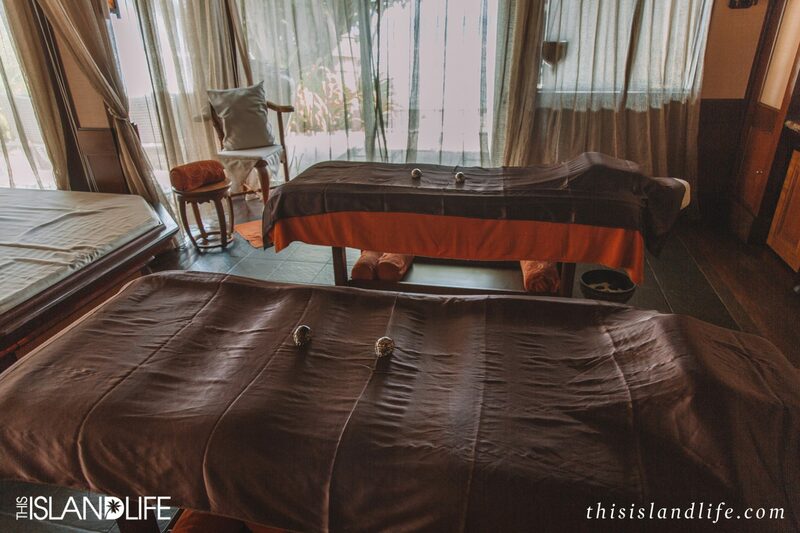 We chose one of the local treatments with the signature Kandu Boli massage. 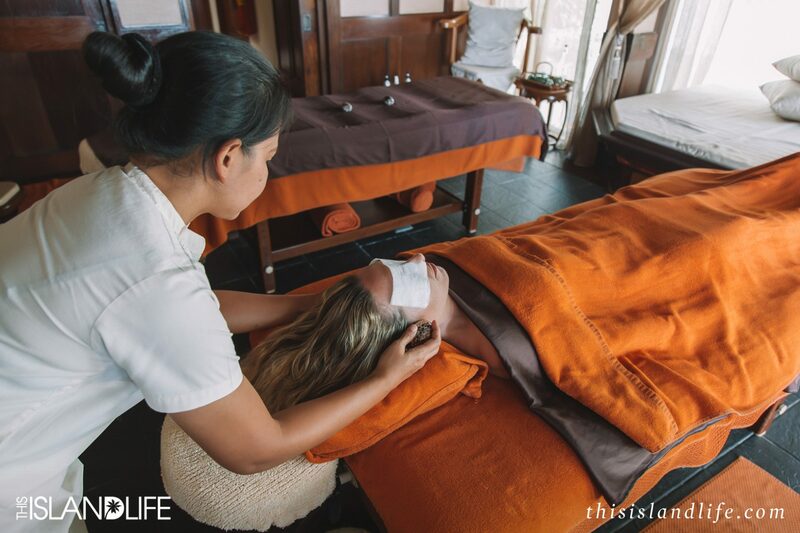 Kandu Boli means ‘sea shell’ and the massage draws energy from the ocean. 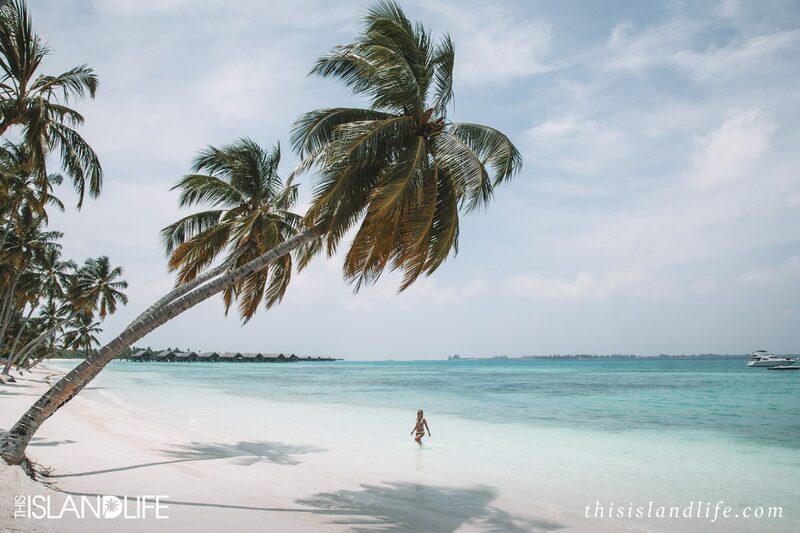 A natural cowrie shell is used to massage, while warm pure Maldivian coconut oil is drizzled across your entire body. 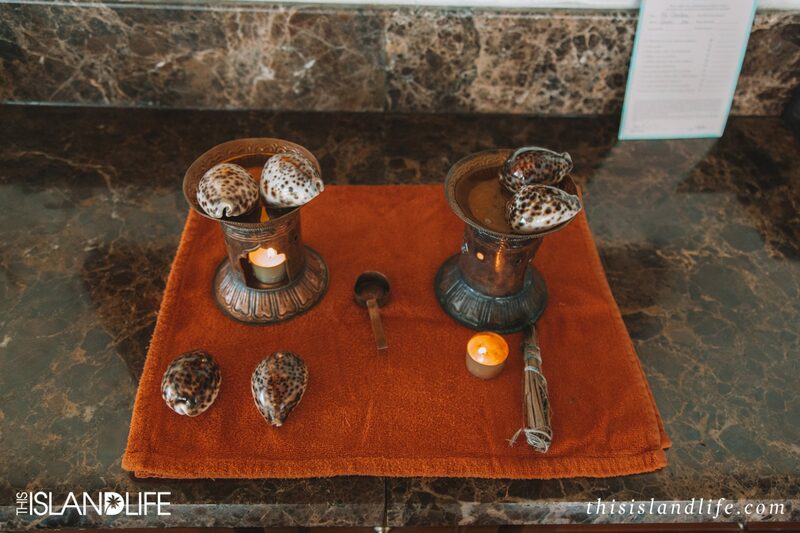 The massage starts with two cowrie shells placed over each ear while your therapists sings, so you hear the sounds of the sea shell at the same time. 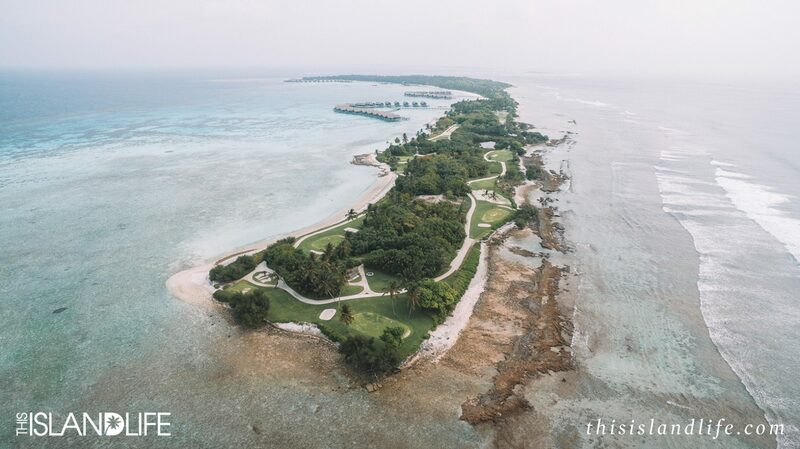 Nestled on seven-and-a-half hectares, Villingili’s nine- hole golf course is the only one of its kind in the Maldives. 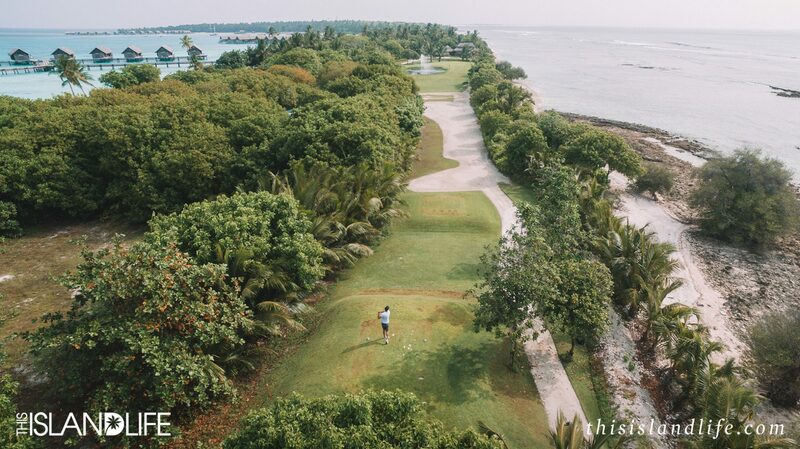 Jason is a keen golfer, so one morning before breakfast we rode our bikes to the southern end of the island to play a round. 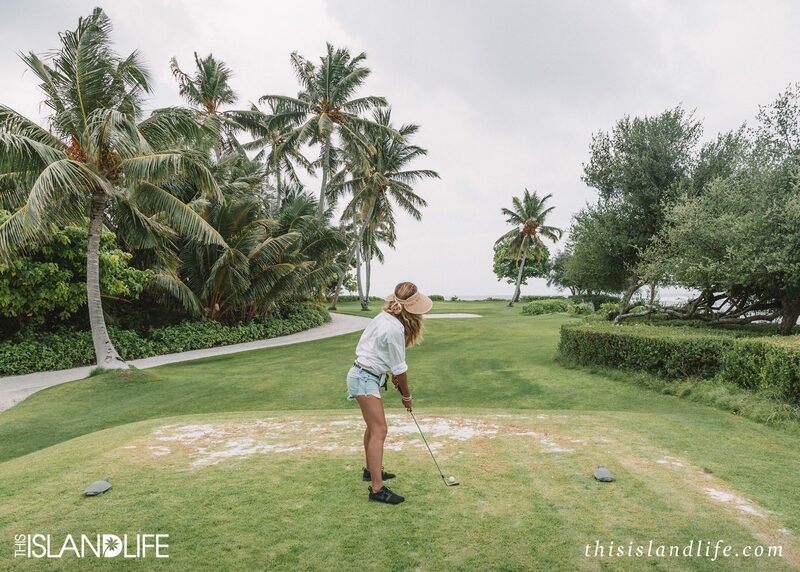 The golf course is also home to the world’s small mountain, Mount Villingili. 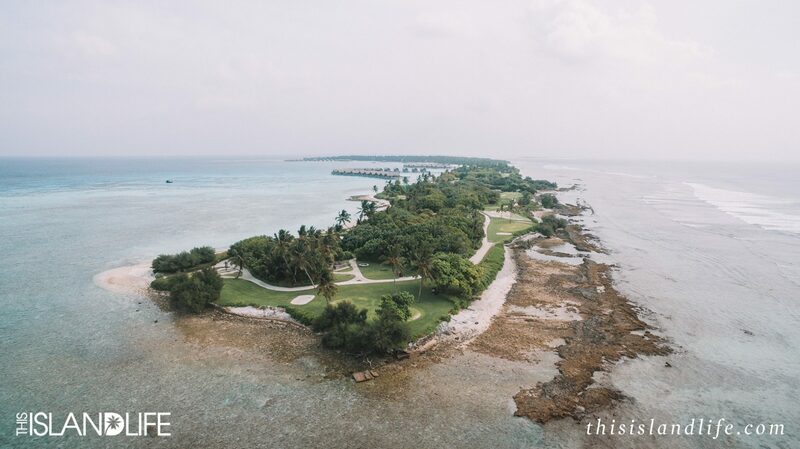 Shangri-La’s Villingili Resort & Spa has even been officially certified as a high point in the Maldives, which is known for being flat and low. 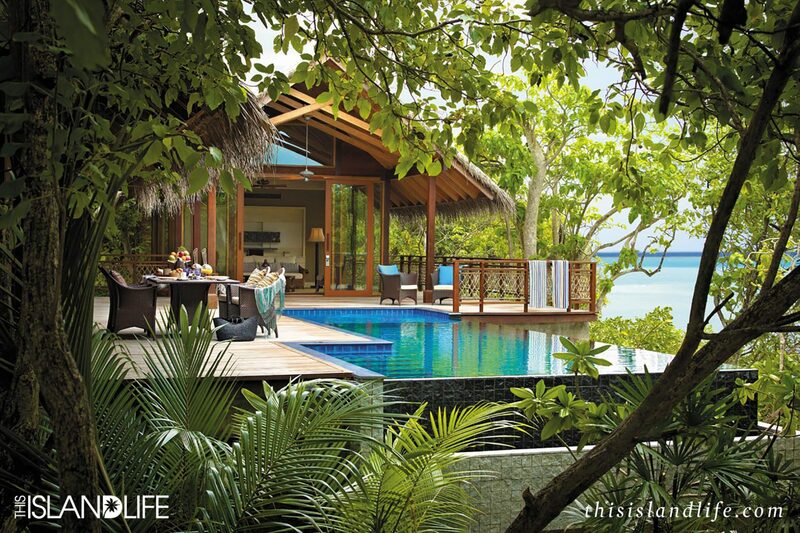 Shangri-la’s Villingili Island is a 70-minute flight from Malé International Airport to Gan Airport. 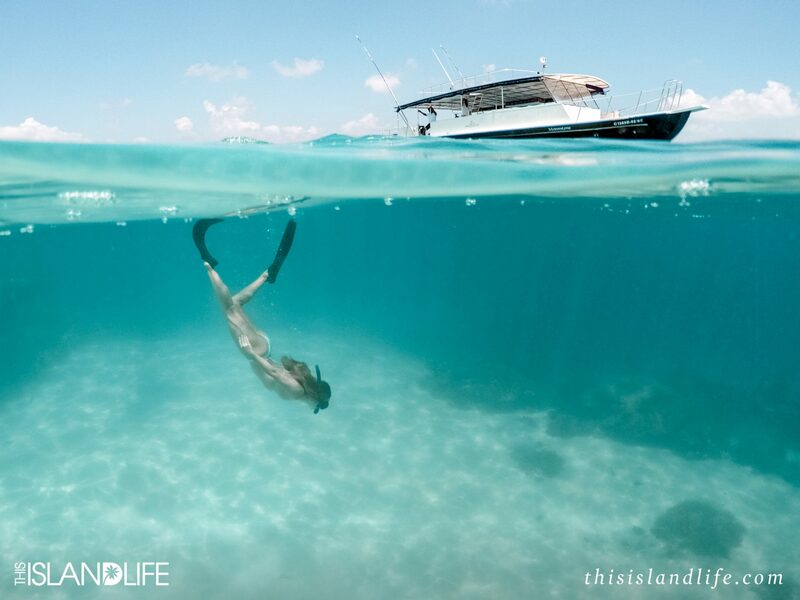 Once you arrive to Gan, it’s a five-minute speedboat ride to your amazing hideaway in paradise. Details here.